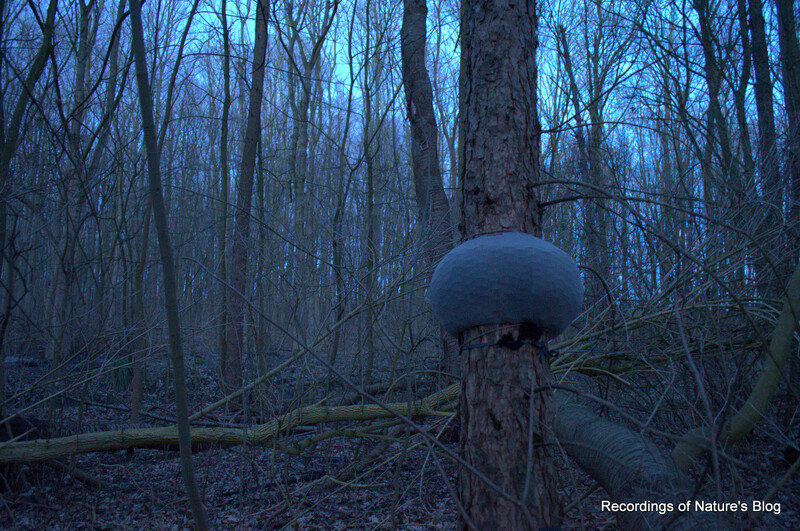 This is another recording in the series of night recordings from Brøndbyskoven March 22, 2017 same tree trunk as last recording. 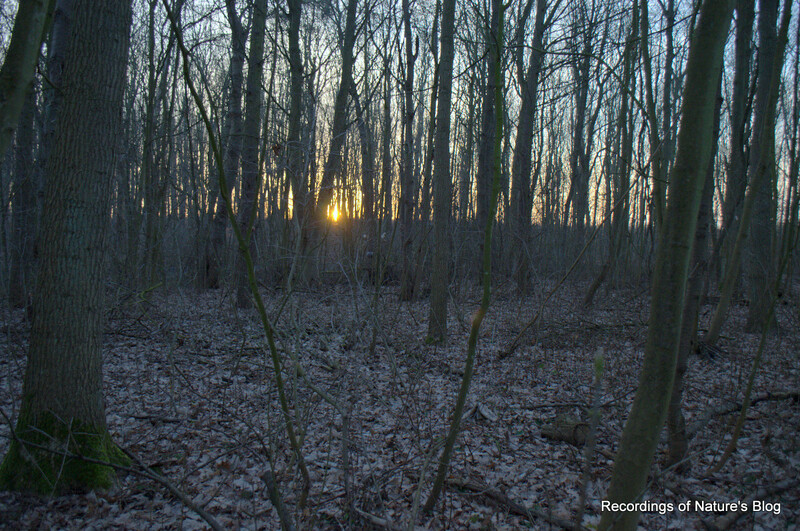 With these recordings I would like to follow and document the variation of nature sounds over the seasons. Wide angle view from the recorder, early morning in Brøndbyskoven, March 23, 2017. 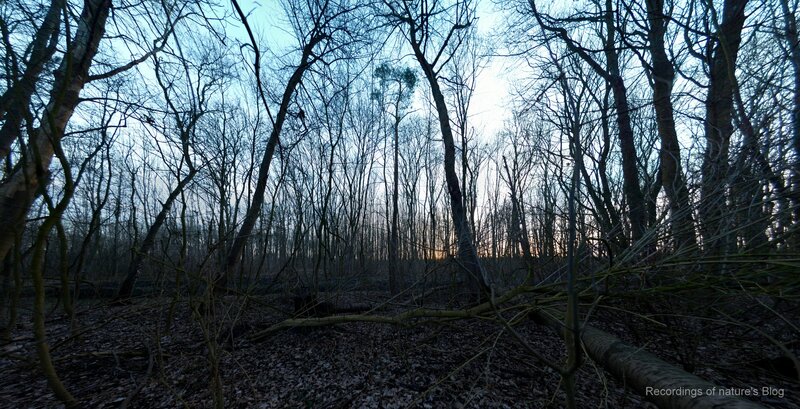 The forest is still bare and transparent, and without much sign of green leaves or vegetation, forming a complete mosaic brown and greyish colours. Birds have started singing during the last couple of weeks. 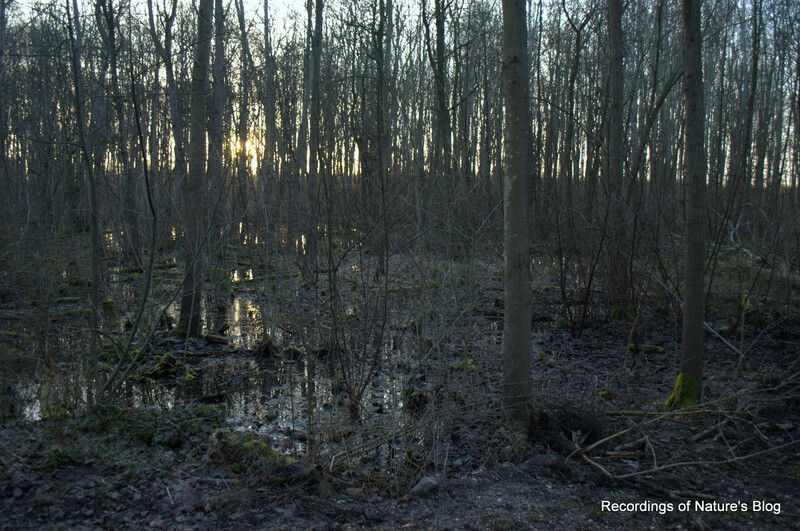 On the recording a substantial morning chorus starts about 1 hours before sunrise, composed of voices of black bird, robin, wren, song trust and crow. 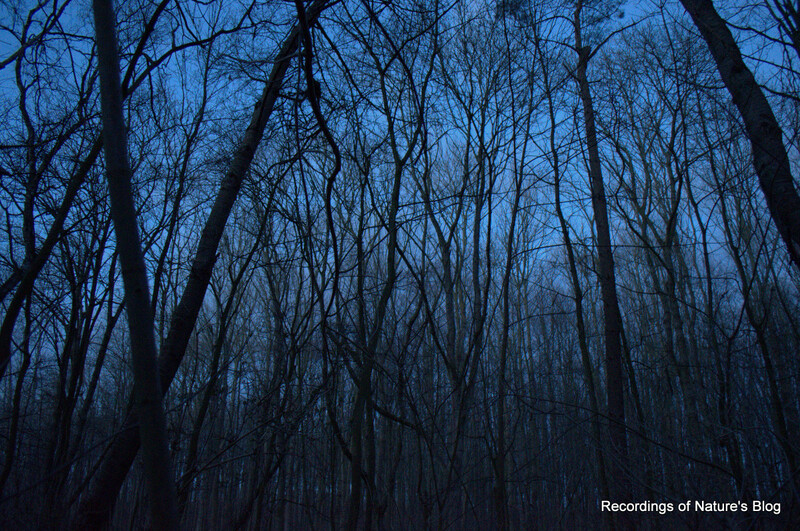 During the night it is almost dead quiet in terms of nature sound, however compared to the previous recording there is now a constant faint noise of insects from all over, which I believe is a sign of all the smaller organisms waking up after winter. The recording starts at 18:30 (winter time) just after sunset and ends 6:30 in the morning. The clip above covers the first 25 minutes while the birds settle for the night, and then the hours from 3:30 -6:30 in the morning. Weather conditions: very calm SW winds and dry roads. Temperatures up to 10C in the afternoon, but dropping below 0C in the morning. This recording was captured on a regular week day, with expected higher traffic noise, especially with a rapid increase in the early morning. Despite that, it still went down to a very quiet minimum during a hours in the night.